The Chinese word for distilled alcohol (spirit) is literally white alcohol, or, as some may have heard before, baijiu. Baijiu is the very lifeblood of Chinese civilization. Since ancient times, it has helped shape aspects of religion, culture and customs of the country and inspired the words of poets and the strokes of painters. No matter where you look, baijiu is an omnipresent staple of Chinese culture. The invention of alcohol in China predates its recorded history, and even its civilization. In 1983, archaeologists began unearthing artefacts from the so-called Jiagu Civilization (甲骨文明，7000-5800BC) in north-central China’s Henan Province. Pottery analysis from the site revealed trace residue of an alcohol made from a mixture of grapes, hawthorn fruit, honey and rice. Not only was it the world’s oldest known finding of alcohol, but also one of the earliest known instances of rice cultivation for human consumption. 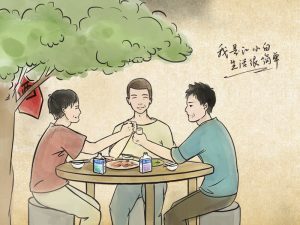 According to Confucian classic, Book of Rites (《论语》), alcohol was also used by religious and political leaders to communicate with the spirit world, and was served at important state ceremonies and banquets. 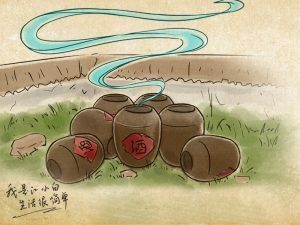 Han Dynasty (206BC-220AD): the invention of Qu, which plays a similar role as yeast in the Western alcohol making industry, marked the first major advancement in Chinese alcohol-making. 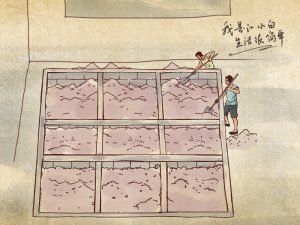 When mixed with the grains used in traditional Chinese alcohols, it transforms starch into sugar and sugar into alcohol. Song Dynasty (960-1270AD): distillation is recognized as the second great revolution in Chinese alcohol, which turns alcoholic beverages into hard liquor. And this technique was likely brought from the Middle East by trading. 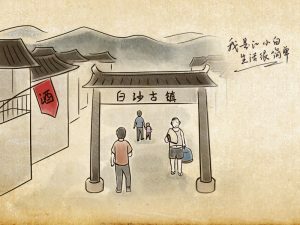 When this foreign technology was fused with domestic brewing arts, baijiu was born. In the later dynasties, baijiu became a drink beloved by farmers and workers, while huangjiu (undistilled yellow wine, that’s mainly brewed from glutinous rice), remained more popular with the scholar-official aristocracy. 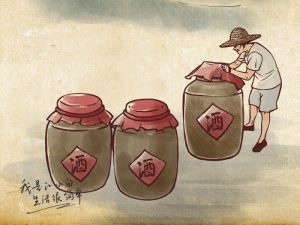 Baijiu spread to every province and as it traveled it evolved into several distinct spirits. In the southeast, it took the form of lighter rice spirits. In the rest of the country, Chinese sorghum, which is called gaoliang, became the major grain of choice. Sorghum was fermented in earthen pits in the southwest and in clay jars in the northeast. Almost every city and village developed its own recipe and techniques, passed down from one generation of distillers to the next. Around the fall of Qing Dynasty, China began pushing for modernization and globalization with a new-found vigor. In 1915, the government sent a delegation of alcohol producers to the Panama-Pacific International Exposition in San Francisco. Moutai and Xinghuacun returned home with awards of distinction. Moreover, they returned home with a burgeoning awareness of the Chinese alcohol industry’s relative shortcomings and a desire to catch up with their global counterparts. After the founding of the People’s Republic of China, the government embarked on an ambitious program to nationalize the alcohol industry. Production techniques were refined. Under the government’s aegis, baijiu was able to improve its quality and consistency. The late premier Zhou Enlai helped Kweichow Moutai become a staple at state dinners in the 1950s. With such powerful friends, baijiu surpassed huangjiu in prestige. In the late 1970s, Chairman Deng Xiaoping’s ‘Reform and Opening’ economic policies, spurred the further expansion of the baijiu industry. By 2016, an estimated 13.6 billion liters of baijiu were being produced in China, a volume more than double that of the closest global competitor: vodka. Baijiu is a spirit unlike any other, well deserving of a place in the international spirits family. 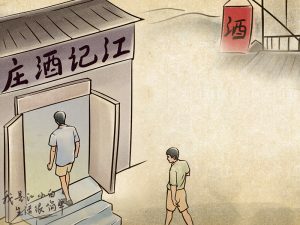 When one drinks baijiu, he or she participates in a tradition that spans more than seven thousand years. Ganbei! A special THANK YOU to Mr. Derek Sandhaus, author of BAIJIU The Essential Guide to Chinese Spirits. Most part of this article is cited from his brilliant and enlightening booklet dedicated to Chinese baijiu.